Ma Ying-jeou (Chinese: 馬英九; pinyin: Mǎ Yīngjiǔ, Mandarin pronunciation: [mɑ̀ íŋtɕjòʊ]; born 13 July 1950) is a Taiwanese politician who is the current President of the Republic of China (ROC). Previous roles include Justice Minister (1993–96) and Mayor of Taipei (1998–2006). 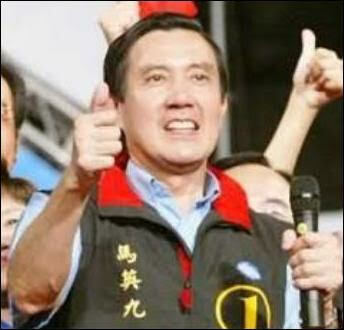 He was also the Chairman of the Kuomintang (KMT) in 2005–2007 and 2009–2014. Ma first won the presidency by 58.45% of the popular vote in the presidential election of 2008, and was re-elected in 2012 with 51.6% of the vote. He was sworn into office as president on 20 May 2008, and sworn in as the Chairman of the Kuomintang on 17 October 2009; he resigned as Chairman of Kuomintang on 3 December 2014. Car Chin Spoiler - Do we really need one?